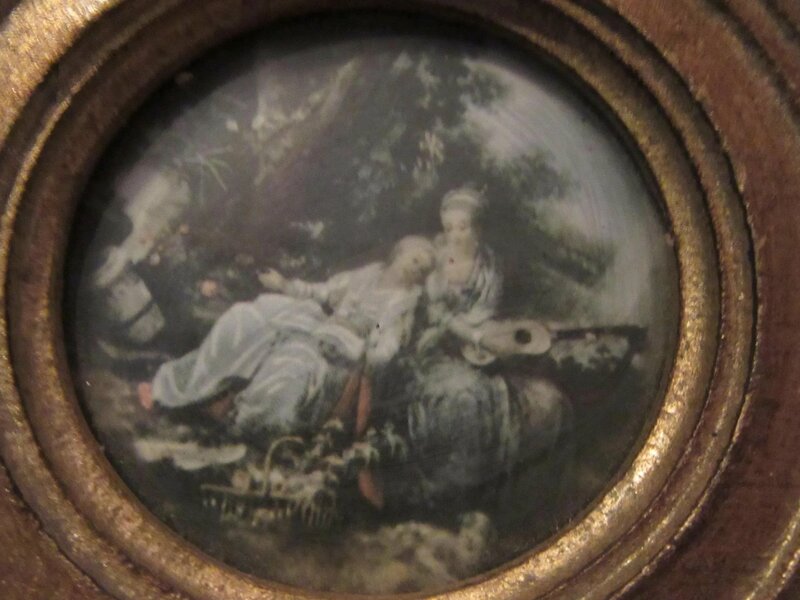 Italian Florentine miniature framed art, hand painted gold gilt on wood round frame with a print of two ladies on a picnic, one with musical instrument under glass, The colors are richer than the photos show due to glass reflection and also not as blurry, we had problems getting a sharp photo of this print. 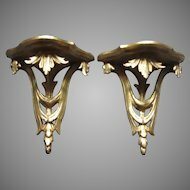 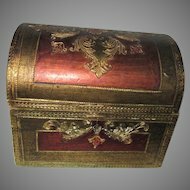 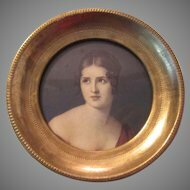 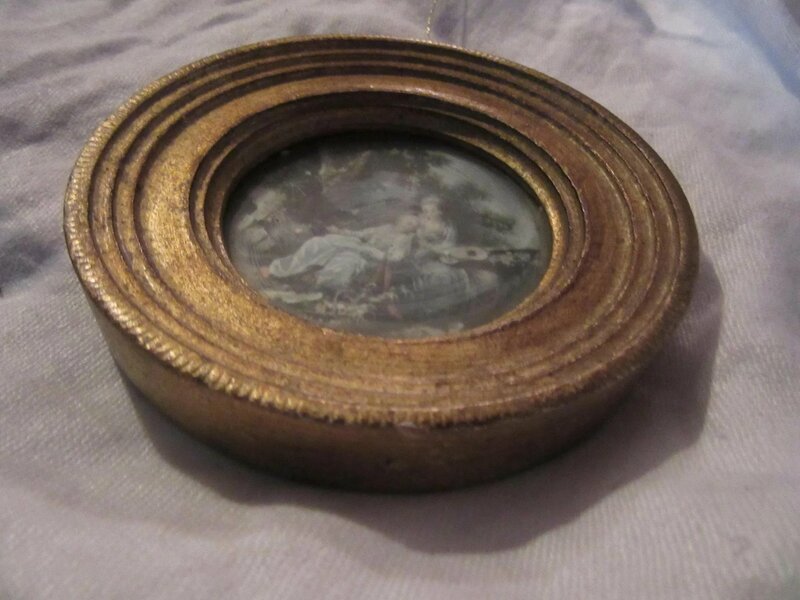 The gold gilt frame still shiny with only mild age wear . 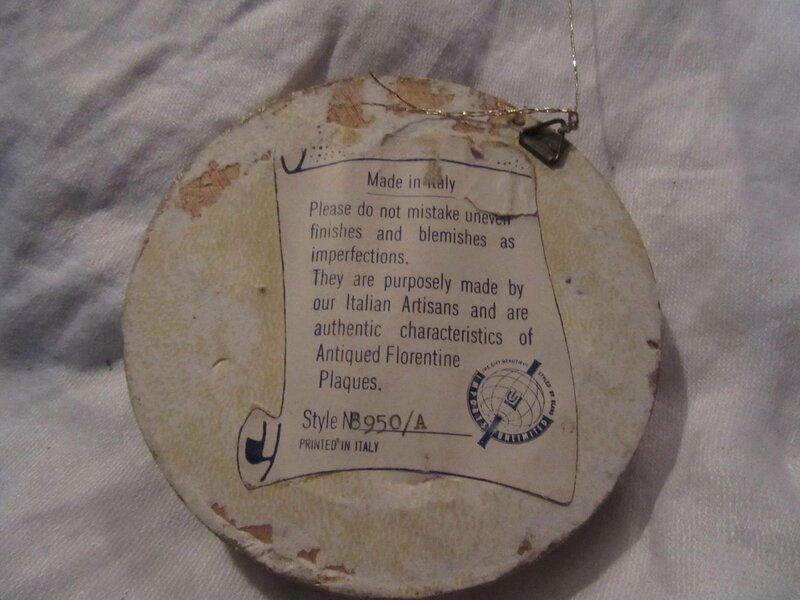 On the backs the original label stating Italian original with descriptions. 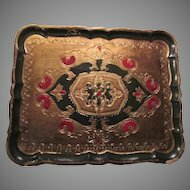 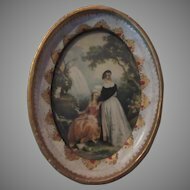 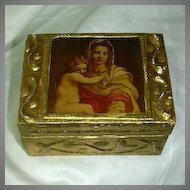 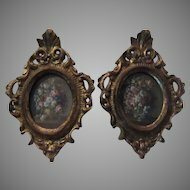 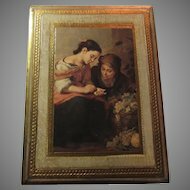 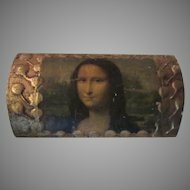 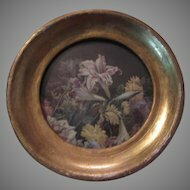 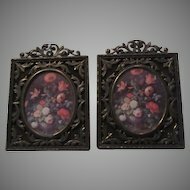 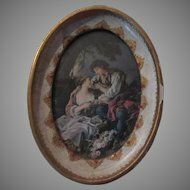 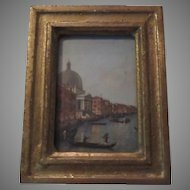 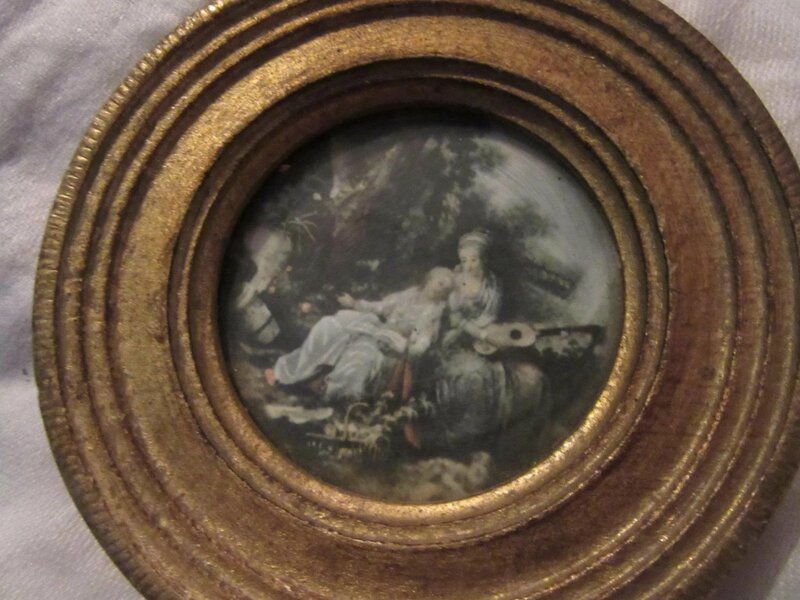 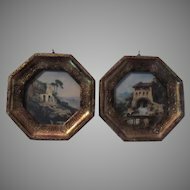 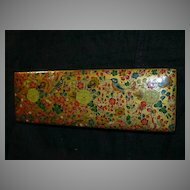 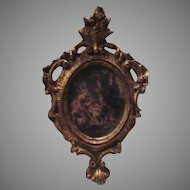 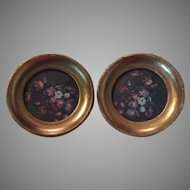 This lovely miniature Florentine art from Italy measures 4" wide and 5/8" thick.